April is Women’s Eye Health and Safety month. Women are at a higher risk for eye diseases including Dry Eye, age-related macular degeneration, glaucoma, and cataracts. It is important to know how to take care of your eyes to have healthy vision for the years to come. According to Prevent Blindness, more than 2,000 people injure their eyes at work every day. Some common causes of eye injuries include flying objects, tools, particles, chemicals, and harmful radiation. Is important to be aware of the hazards that can cause eye injuries at work. Eliminate eye hazards whenever possible and wear proper eye protection. 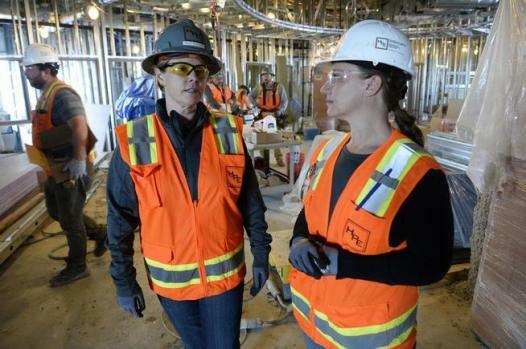 Safety Glasses: Wear whenever there are particles, flying objects, or dust present. Goggles: Wear when working with chemicals. Face shields: Wear when exposed to flying objects, molten metal, liquid chemicals, acids, chemical gasses, or potentially hazardous light radiation. 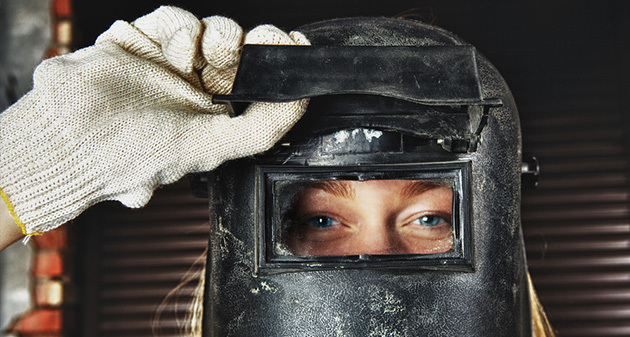 Welding helmets: Always need to be worn when welding. 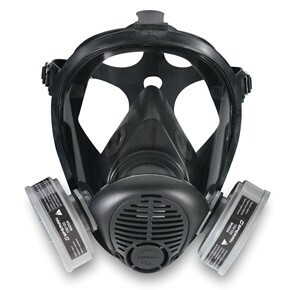 Full-face respirators: Wear when working in an environment with insufficient oxygen or harmful dusts, fogs, smokes, mists, fumes, gases, vapors, or sprays. Safety Supplies Unlimited has the eye protection that you need to keep your eyes safe at work. We sell safety glasses, goggles, face shields, and respirators. We also sell first aid supplies including eye wash stations. If you need eye protection, purchase safety glasses from SSU today! This entry was posted in Safety Supplies How To's and tagged Eye Health, ppe, protective equipment, Safety Supplies, Safety Supplies Unlimited.